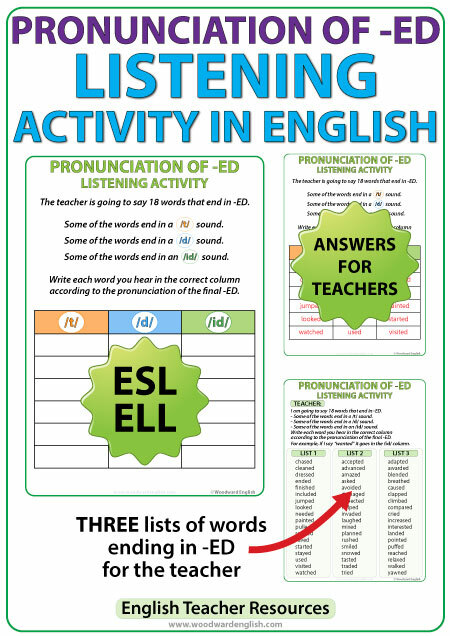 The objective of this activity is to help students distinguish the sounds of ED at the end of words in English. The teacher (guide) has 3 lists of words ending in -ED (they are all regular past tense verbs). Each list contains 18 words. 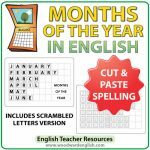 The teacher reads out each word from a list and students need to write the word they hear in the correct column according to the final ED sound each word has. For example, when the teacher says “wanted”, students need to write that word in the “/id/” column. 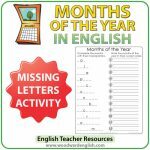 Not only are students becoming more aware of the three sounds of -ED, but this activity can also double as a spelling exercise. As mentioned before, there are three lists. Each list could be used on different days. Note that List 3 has slightly more challenging words. Teacher answer keys have been created which can also be used by students to check their own work. There is a separate page for each list of 18 words. 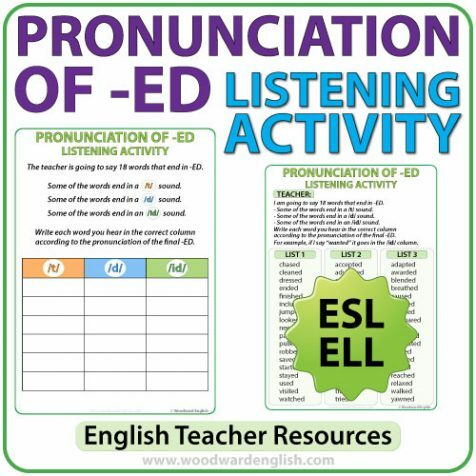 This resource is ideal for ESL/ELL students to help them sound more like a native speaker when it comes to saying words that end in ED (accent reduction). 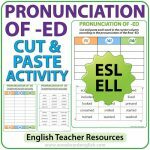 Una actividad de escuchar palabras que terminan en ED en inglés y escribir cada palabra en la columna correcta de acuerdo a su pronunciación.